Home announcements Siri Mercedes and SIRI… What connection may occur among them? Mercedes and SIRI… What connection may occur among them? Here is very particular news in Apple daily life. 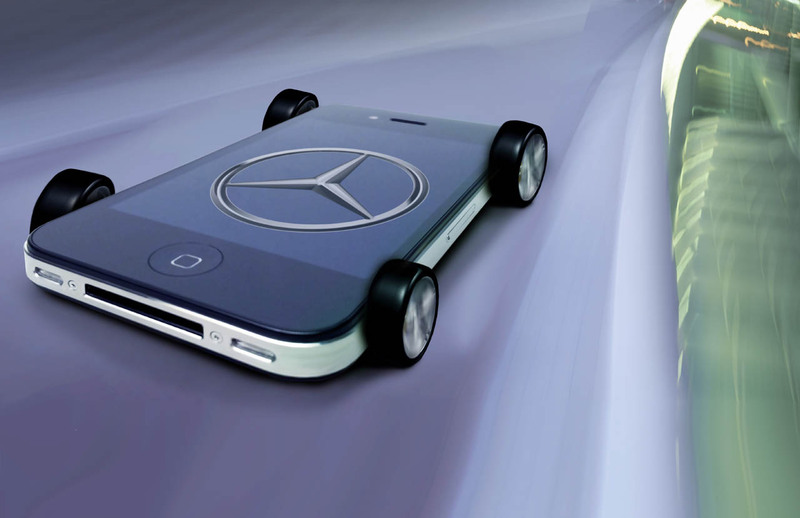 Mercedes Benz has announced that its new A-Class range of cars will have a new system centered on the iPhone 4S and SIRI. Sounds amazing… This is the first time when a car manufacturer has incorporated SIRI into its vehicle entertainment system. The new system will be announced and demonstrated next month, at the Geneva Motor Show. It will be launched initially in Europe with the new Mercedes Benz A-class vehicle but it will also roll out in the autumn of 2012 for the B, C and E-Class cars. The ability to control functions using the car’s built in microphone and noise cancelling technology would be a big success for SIRI’s understanding in the car. The Digital Drive Style application allows drivers to connect with Facebook and Twitter, read out status updates, control radio, etc. If not mention making appointments, sending text messages/emails and so on… The most amazing feature that users will use mostly is the ability to find your car in a crowded parking! Another feature includes getting real-time traffic data and point-of-interest searches through a new Garmin navigation system.